OAKLAND, Calif. (KGO) -- A Whole Foods packaging decision is causing an outrage on Twitter. Michelle Cehn snapped the photo at a Whole Foods in Oakland and posted it on Facebook with the comment: "You have GOT to be kidding me. More ridiculous than $9 spa water. Humans, you cray!" 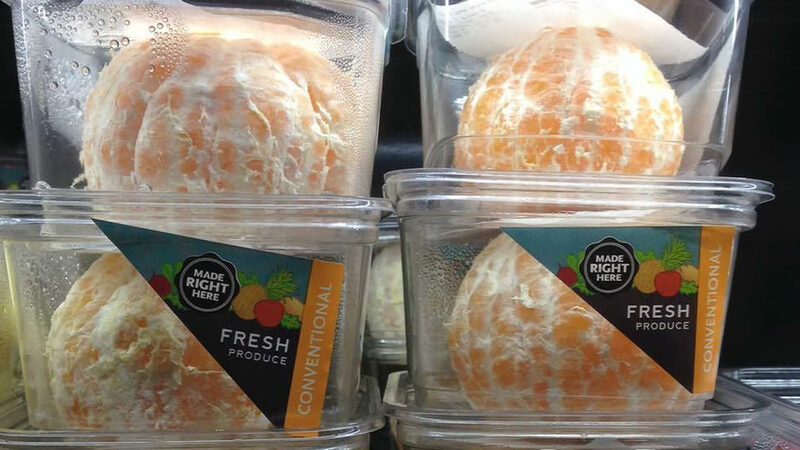 Then #orangegate went really viral when Twitter user Nathalie G. tweeted the photo and included the sarcastic comment: "If only nature would find a way to cover these oranges so we didn't need to waste so much plastic on them." Whole Foods responded on Twitter saying in part, "Definitely our mistake." They said they've pulled them and will leave them in their original packaging -- the peel. The most hilarious bit about #orangegate? The people tweeting me who think I don't know that oranges actually do have a peel.